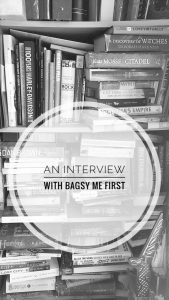 What inspired you to launch Bagsy Me First!? 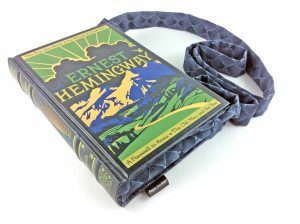 Where do you find the books to use to turn into handbags? Where do you source the fabric used for the lining? I find books online and in second-hand bookshops/charity shops. Very occasionally a customer will supply a book. The fabric is from a local shop; sometimes online. It’s best to see/feel fabric up-close and personal. You have an online shop and cater for custom orders. Have you had any unusual requests? I’ve had custom orders for bags constructed out of gig posters and a ‘Goosebumps’ book handbag that lit up, for a stage show. What are the most popular titles/authors requested/sold? All the classics. And Harry Potter, of course. 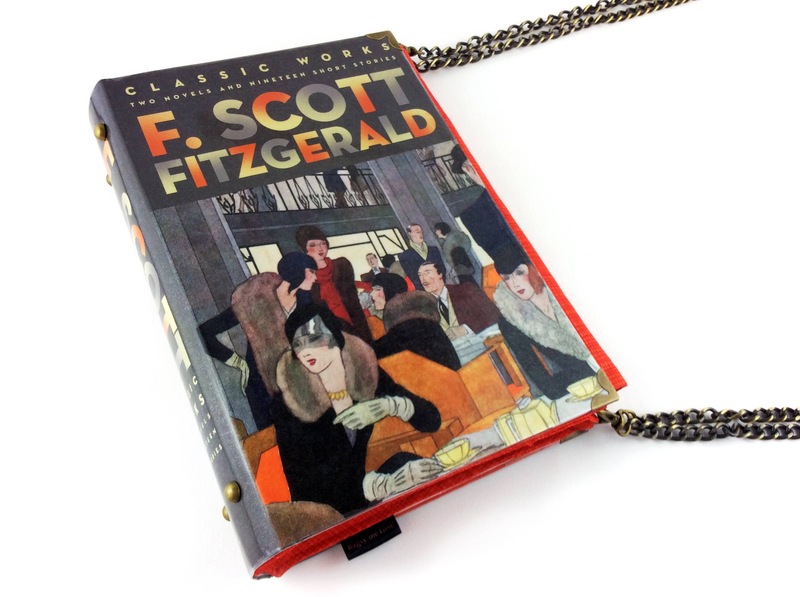 What book are you turning into a bag at the moment? Neil Gaiman’s ‘American Gods’ is on my sewing table right now and it’ll be a handbag tomorrow. To start a company like this, you must have a love of books! What genre of books do you like reading? 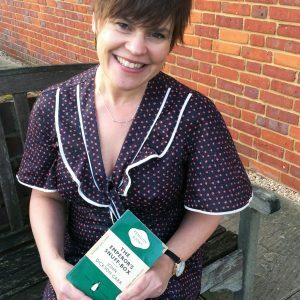 Any favourite book or author? Have you got a favourite book bag? I have a weakness for vintage green Penguin paperbacks. My own wallet is made out of a 50 year old green Penguin paperback by John Dickson Carr (I collect his books) and using it daily gives me joy. Do you read the books before they are turned into bags? No, but I made it a mission to read some of them afterwards. If a customer wants a bag made out of a particular book then it must be special! I have a long list of handbags that I’ve now read, that I wouldn’t have read otherwise. Growing up, did you always hope to have a career connected with books or were your dreams directed elsewhere? Driving a mobile library around villages is something I’d love to have a go at. My ‘proper’ job is a graphic designer. Where do you prefer to read – in bed, in a comfy chair, in a library surrounded by books or elsewhere? Over breakfast with a cup of tea. You are based in the UK, do you ship overseas too? Yes; I have customers using my items in 30 countries (so far!) which feels pretty cool. Mostly thrift-store dresses of varying vintage, and DM’s or pumps. Vintage/thrift shops and second-hand book shops make me go ‘Oooh’ quite a lot. A pair of trail shoes for X-country. Going to give it a go this season. 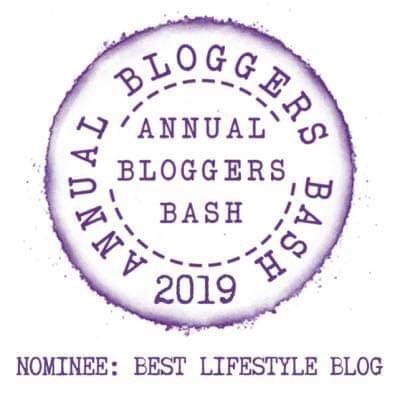 Links you would like to share e.g. 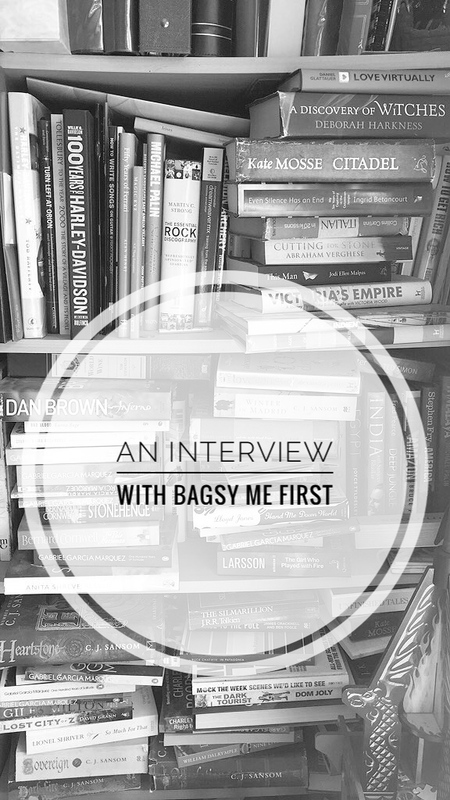 website/facebook/twitter etc so that readers can find out more about Bagsy Me First. Oh, do come say ‘hi!’ Help yourself to a good ol’ rummage in my shop and if you fancy something made out of a particular book, just ask. The kettle’s on, and we have Hobnobs; welcome to Bag End!